The week is over! My week wasn't hard, there was just a lot to do. I had to give a poster presentation at work yesterday that went really well. I'm tired, and when I feel like relaxing, I find a fancy wine glass from which to drink (There can be anything from water to Riesling in that glass, depending on what I need.) and maybe a knitting magazine or book to read. Imagine this: You're sitting at home with your feet up, browsing through a knitting book with some awesome patterns, all while a candle that smells like what the candle company thinks the ocean smells like is burning. Well, I've got something to give to you. Just tell me what you're knitting this weekend and how you're relaxing in the comments section by Sunday, 5/15/16 at 9pm and I will randomly draw one commenter's name. 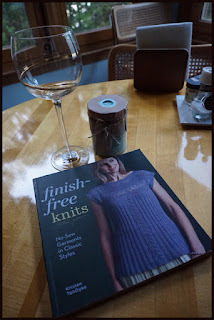 The winner will receive a copy of finish-free knits, that beautiful gold embellished wine glass, and the candle, because I'm all about helping you relax. You'll have to come back on Monday to see if you won. Finish free. That book is right up my alley! I am still knitting my Hitofude, for like, ever. I think it un knits itself when I'm not looking. I would love this book! I'm working on a laceweight shawl, which is only relaxing because I'm taking my sweet time to finish, and the pattern was easy to memorize. I'm on tour in Norfolk VA, and I forced myself to bring a crochet hook and scraps to doodle around with. I think income up with an idea for a pattern, but I also started (another) Virus Shawl with sock yarn. Those things are addictive! How perfect! We're having a knitting & wine afternoon down here this afternoon. 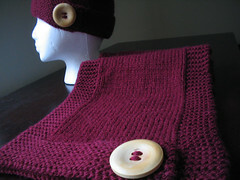 I'll be knitting away on my Avana cardigan/shrug thing and my Emeliana shawl. Both are teal, which seems to be my color of choice rigt now. I'm knitting on a black (I know) alpaca linen stitch scarf of doom that was promised for this past winter. I'm determined to finish it this weekend. Pray for me. For relaxation I plan on working on it at least part of the time at a favorite outdoor cafe. And the giveaway? What a sweet thing to do, Nik! 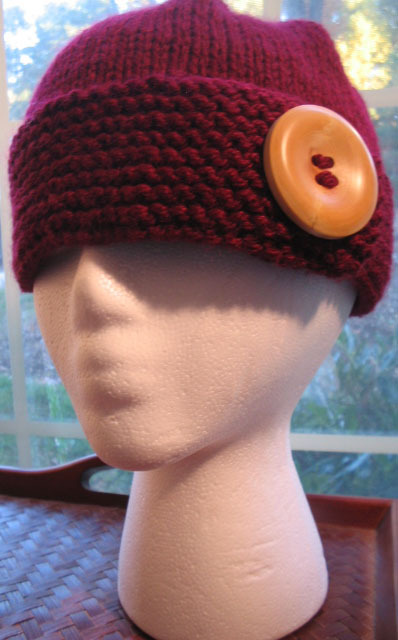 I don't know how to knit, yet. I have taken to my crochet needles again after making a terribly wonderful potholder. I've started a blanket for my future son. If it turns out like the potholder, I'll be wrapping him in a Mayan pyramid.